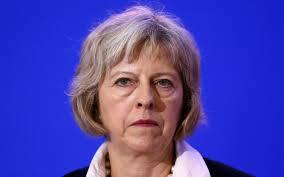 Theresa May has performed an extraordinary U-turn by watering down her “dementia tax”, just four days after making it the centrepiece of her election manifesto. The Conservatives will pledge to introduce a cap on lifetime care costs, after widespread protests that more families would be forced to sell the homes of pensioners paying for their care. Just last Thursday, the Prime Minister threw out plans for the cap, insisting it was not necessary to protect older people from catastrophic care costs. But the measure was dubbed a “dementia tax”, because pensioners who own their properties would have to pay for care they receive in their own homes for the first time. Previous More than 200 suspects have gone on trial accused of plotting and orchestrating last year’s failed coup in Turkey.